DISCONTINUED, PLEASE SEE NEW VERSION! 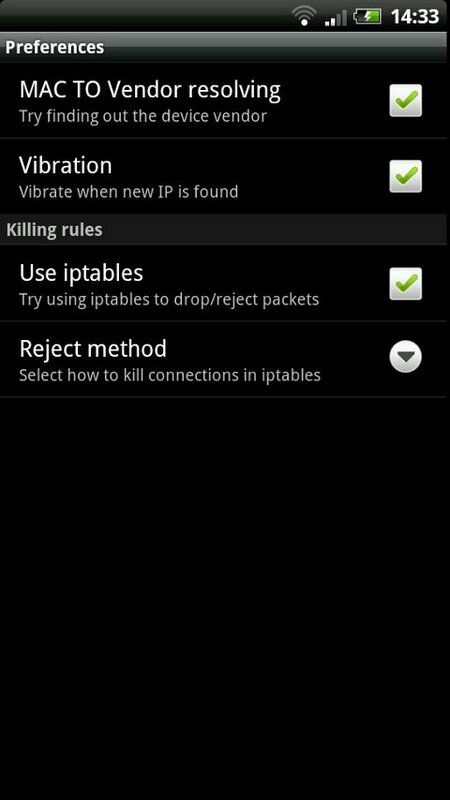 here we have the first release of WiFiKill. bugs are still there and well that's how the life goes on. APK is in the attachment. In settings you can disable mac to vendor resolving if startup takes a while. fixed some strange no-subnet-scan issue? fixed a bug that caused the percent to go over 9000!!! new ICON! the old was ugly, this is simple... meh. Cool, looking forward to use it. But how can I remove the add if I choose to donate? I'm trying to release it on the slideme market, if they approve it then it will be without ad there I think this shouldn't take long. Brilliant! Thanks m8. Can't wait to test it out. When I use the apk, then it does not stop/kill the internet it just slow it down. KaZyKa wrote: When I use the apk, then it does not stop/kill the internet it just slow it down. If someone will make a good (720p with real action) video of this app in action I'll give him a free faceniff key and an adfree version of wifikill and 1000 internets. How can I make a 720p video with my SGS? Rosa Elefant wrote: How can I make a 720p video with my SGS?